Our preference is to perform open carpal tunnel release. 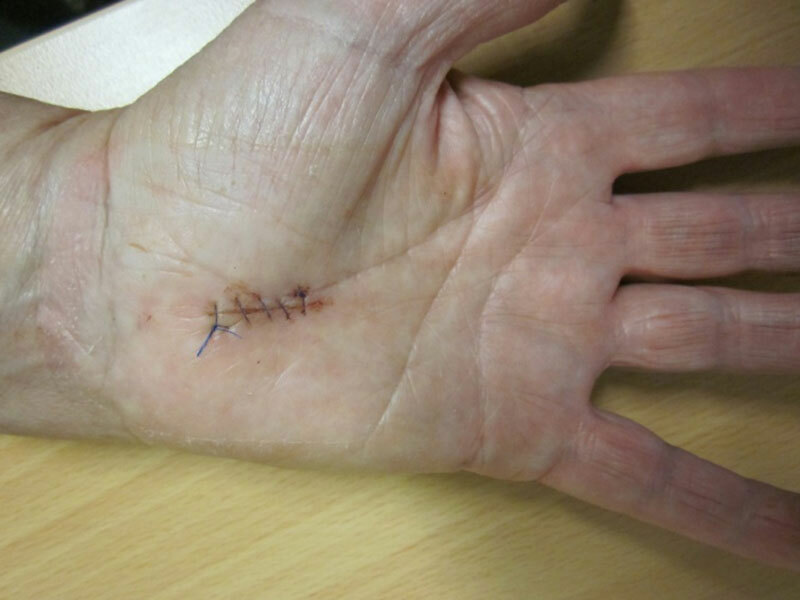 This is through an incision that is usually less than 2cm long in the palm, between the muscles on either side of the palm. We prefer the open technique because it allows us to look at the nerve after the tunnel has been released to identify any problems and to look at the back of the tunnel to ensure that there are no lumps or bumps in the canal. You cannot do this if you use an endoscopic technique. Nerve injury, less than 1%. This can be an injury to a branch that supplies feeling in the palm over the muscles at the base of the thumb or to the median nerve proper which supplies feeling in the fingers or the “motor branch” which makes the thumb muscles work. Stiffness – avoid by early motion. Pillar Pain – at base of hand, little finger side, aching pain that usually resolves with time. Chronic Regional Pain syndrome (CRPS) 0-5-1%, pain, stiffness, swelling, hypersensitive, discolouration, may require referral to pain specialist. The hand and wrist will be in a soft dressing allowing some wrist motion and the fingers will be free. Keep the fingers moving, all the way straight and bent into a fist to limit stiffness and help reduce swelling. Do this in slight wrist extension. May remove outer dressing after 1 week. May change under dressing if necessary. Review at 2 weeks for wound check and to remove sutures. Avoid heavy lifting for 6 weeks post op. You may be referred to the hand therapist if required. Increase activities as comfortable but it usually takes at least 6 weeks to regain full function. 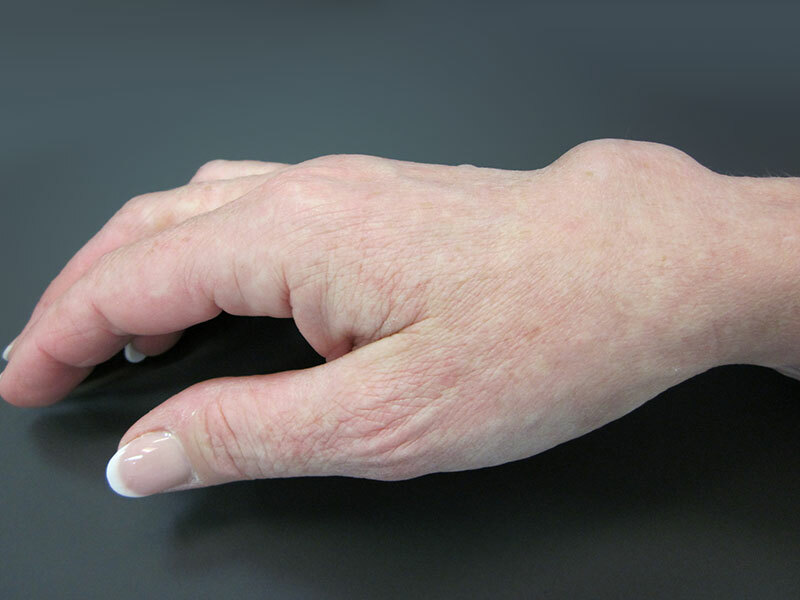 Carpal Tunnel Syndrome is the most common nerve compression syndrome with characteristic symptoms and signs due to pressure on one of the main nerves of the hand, the median nerve, at the wrist. Most commonly there is no specific cause identified, known as idiopathic. The tunnel in the syndrome is formed by a tough ligament (transverse carpal ligament or flexor retinaculum) and by the curved carpal bones. The ligament helps keep the structures (9 tendons and 1 nerve) that pass under it in place and provide protection for the nerve. It can arise due to swelling of the contents of the canal or thickening of the ligament. Age – may occur at any age but increases with age. Genetic – female > male. Degenerative – arthritis (Osteoarthritis or inflammatory). Hormonal – pregnancy, postmenopausal, thyroid problems, growth hormone. 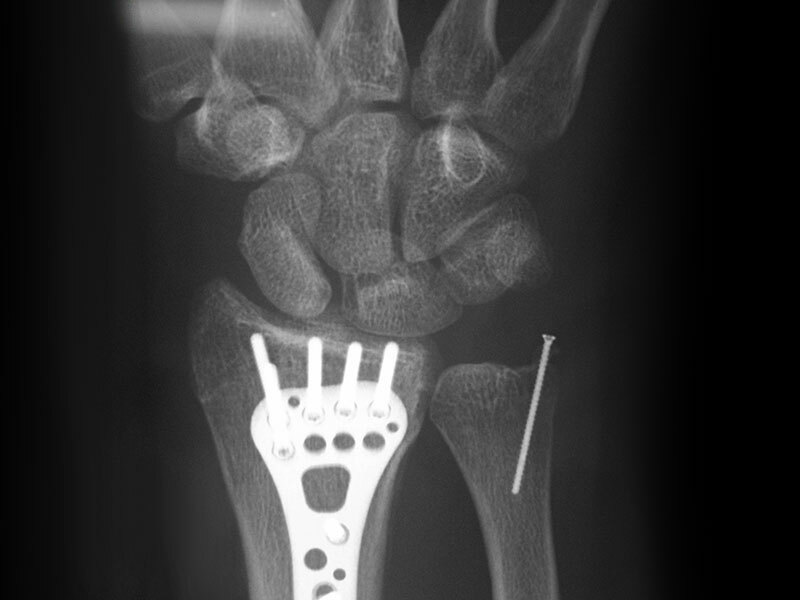 Trauma – wrist and scaphoid fractures, dislocations. Fluid retention – pregnancy, kidney problems. Neck Problems – double crush phenomenon. Medical Conditions – obesity, diabetes, high cholesterol. Toxic – smoking (poor circulation), alcohol. Postural – prolonged position of wrist in flexion or extension. 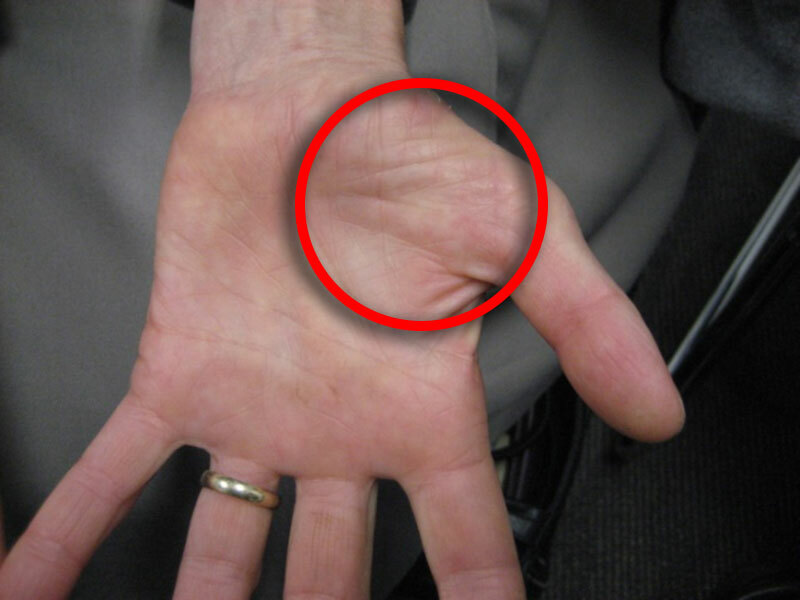 Numbness and tingling in the thumb, index, middle and half of ring finger on the palm side especially with activities that require prolonged positions of wrist flexion or extension. Waking from sleep with tingling in the hand, sometimes pain, often relieved by shaking the hand with it hanging over the side of the bed. Difficulty with fine motor activities, for example doing up buttons, due to loss of sensation. Weakness of the hand, due to loss of muscle power in the muscles at the base of the thumb. May develop pain radiating up into the forearm. Decreased sensation on testing with “monofilaments” in the distribution of the median nerve. Reproduction of symptoms with pressure over the nerve or flexing the wrist. Electric shock like sensation when tapping over the nerve. Often none required, as is a clinical diagnosis. May perform nerve conduction study (NCS) or electromyography (EMG) to test how the nerve is working if symptoms are not typical or to give a guide as to severity. Steroid injections have the best results if the symptoms are intermittent and have been present for less than a year. The literature suggests about 80% success rate in relieving symptoms. They may however recur. Splinting avoids the positions that reproduce the symptoms. They hold the wrist in a position of slight wrist extension and are made out of a lightweight plastic material. Also can be worn at night. Open or endoscopic carpal tunnel release. My preference is to perform a mini open carpal tunnel release. The incision is usually less than 2cm in length – it is done as a day procedure often under local anaesthetic. A soft dressing is used post operatively and the hand can be used for light activities from day 1. The sutures are removed at 2 weeks post op and heavy lifting is avoided for 6 weeks. Ganglions are by far the most common lumps in the hand and wrist. They are not cancers and don’t turn into cancers. They are filled with a jelly like material and can be soft, firm or even feel hard. The back of the wrist. (Dorsal Wrist Ganglion) see opposite. Palm side of wrist (Volar Wrist Ganglion). Near the tip of the finger around the nail (Mucous Cyst). Around the tendons in the finger (Flexor Sheath Ganglion). The cause is usually not clear but they may appear after an injury. Often they cause no symptoms but can be painful if pressed on by surrounding structures. This may occur with heavy activities or extremes of motion. Ganglions tend to occur in characteristic locations. Often plain x-rays are obtained to ensure no bony abnormalities. Ultrasound will help with diagnosis, location and likely place where the cyst arises from. Occasionally an MRI for deep-seated cysts. Based on symptoms and location. The reasons to remove ganglions are for pain, dysfunction and cosmesis. They may spontaneously resolve so observation is an option if it is not symptomatic. Aspiration / Injection, quoted 50% recurrence rate. Surgical Resection, 5-10% recurrence rate. This can be done open or arthroscopically. The old fashioned treatment (especially dorsal wrist ganglions) was to hit with a large book to “pop” the cyst, traditionally a bible. 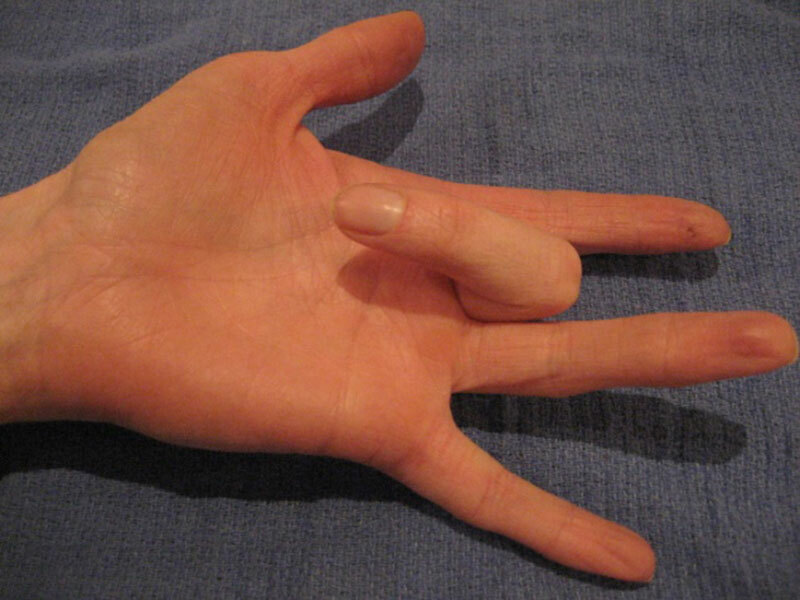 A bending force to the tip of the finger leads to the tendon that straightens the tip becoming incompetent. This can be due to the tendon itself being pulled off the bone or a fracture of the bone with the tendon attached to it. This leads to the tip of the finger “sagging” which can worsen with time and importantly can lead to a problem with the joint adjacent to it which can be even more disabling “swan neck deformity”. 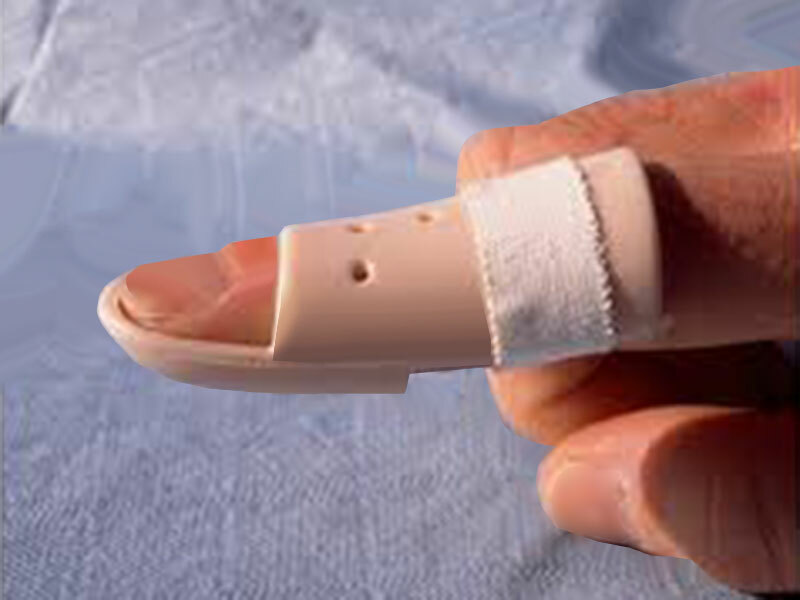 Initially clinical with a loss of extension of the tip of the finger. An x-ray should be obtained to determine if there is a bony fracture and to make sure that the joint is reduced. The majority of these injuries can be treated non-operatively with splinting alone. The length of time the splint is worn depends on whether the injury involves the bone or not. Tendon only: Splint for 8 weeks full time then night splint for a further 4 weeks. Bone: Splint for 6 weeks full time and then night splint for 4 weeks. There are a number of splints available but a comfortable fit is important without undue pressure on the skin and this can be best achieved with a custom-made splint. These can then be adjusted as swelling improves. If the splint needs to be taken off the joint must be maintained in a straight position. If the tip of the finger droops at all with the splint off, the clock is reset and splinting has to start all over again. During the period of splinting the other joints in the finger need to be moved to maintain motion. As the splint is weaned, motion should be gradually regained to protect the tendon, especially in tendon avulsions. Not usually needed. The main need for surgery is if the joint is unstable and starts to dislocate, usually due to a relatively large fracture fragment. The results of surgery in simple cases are inferior to non-operative treatment. A cause of painless or painful catching of the finger or thumb flexor tendon after you bend the digit with a “pop” or locking as you straighten it. On occasion, the finger will lock in a bent position and need to be manually straightened into full extension. 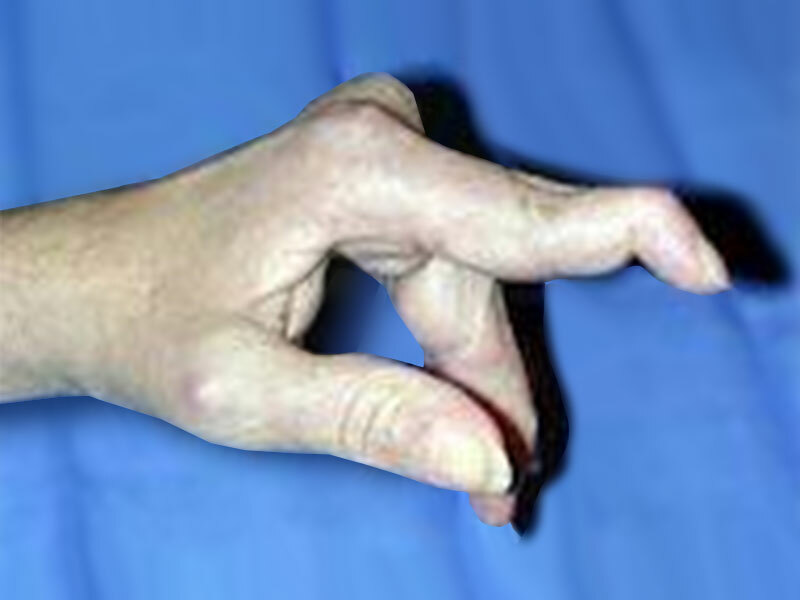 This can eventually lead to contracture of the finger joints. Each tendon passes through a tight tunnel to help the motion of the finger and keep the tendon close to the joint(s) it moves. Triggering is due to increased pressure especially with repeated power grip at the edge of the tunnel that causes thickening of the edge of the tunnel and/or swelling of the tendon. Trigger finger is most common in middle-aged women. It can involve several fingers. In patients with multiple trigger digits, the most commonly affected digit is the thumb, followed by the ring, long, little, and index. It is associated with diabetes, gout, renal disease, rheumatoid arthritis and other rheumatic diseases and is associated with a worse prognosis in these conditions. It can seem like the locking is occurring at the joint. A history of catching or locking of the digit on bending, occasionally with pain in the palm. Often worse in the morning and may be locked bent first thing in the morning but improve throughout the day. 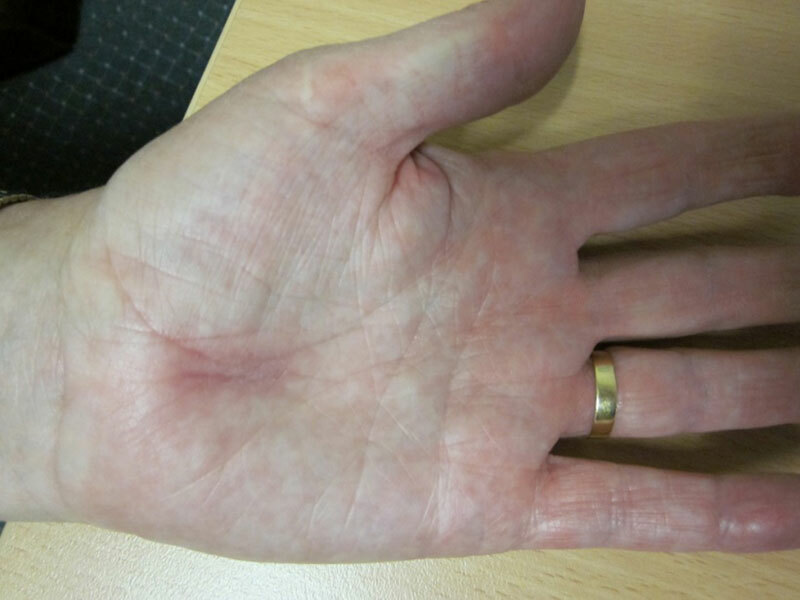 More significant cases have demonstrable catching with contracture of the finger joint. 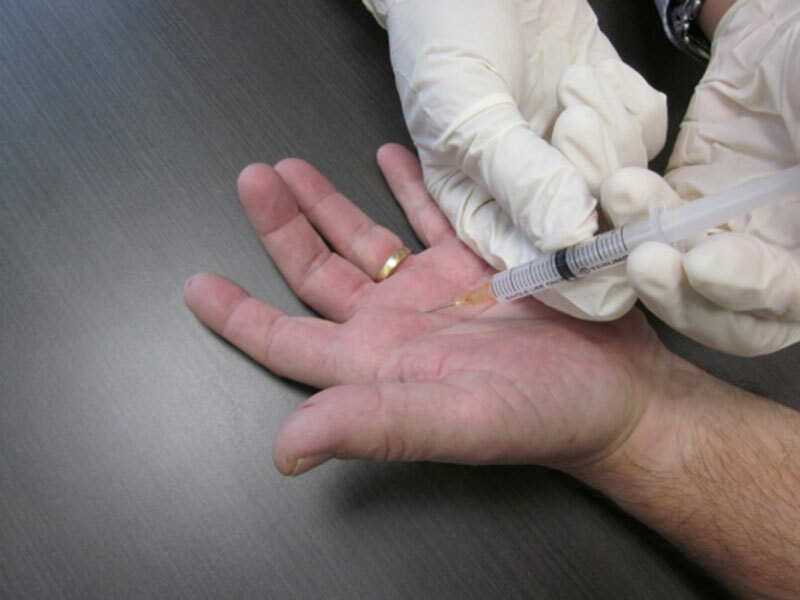 Most primary trigger digits in adults can be successfully treated non-surgically with the use of a steroid injection. This has a low complication rate and is successful in up to 75% of cases, depending on chronicity – i.e. the longer you have had the trigger the less likely a steroid injection will fix it. Diabetics may experience a transient rise in blood glucose levels. Splinting can be considered and is effective 50-60% of the time. Trigger finger is not a dangerous condition. Your decision on whether to have surgery is based on the symptoms and how problematic they are for you. If your finger is stuck bent surgery may help prevent permanent stiffness. The aim is to “release” the opening of the tunnel so that the tendon can slide without catching. This is usually done as a day case and often under local anaesthetic. The surgery is performed through a small incision in the palm and the tunnel is cut (released) so there is more room for the tendon to move through it. Reproduced and adapted from Griffin LY (ed): Essentials of Musculoskeletal Care. 3rd Ed. Rosemont, IL. American Academy of Orthopaedic Surgeons, 2005. 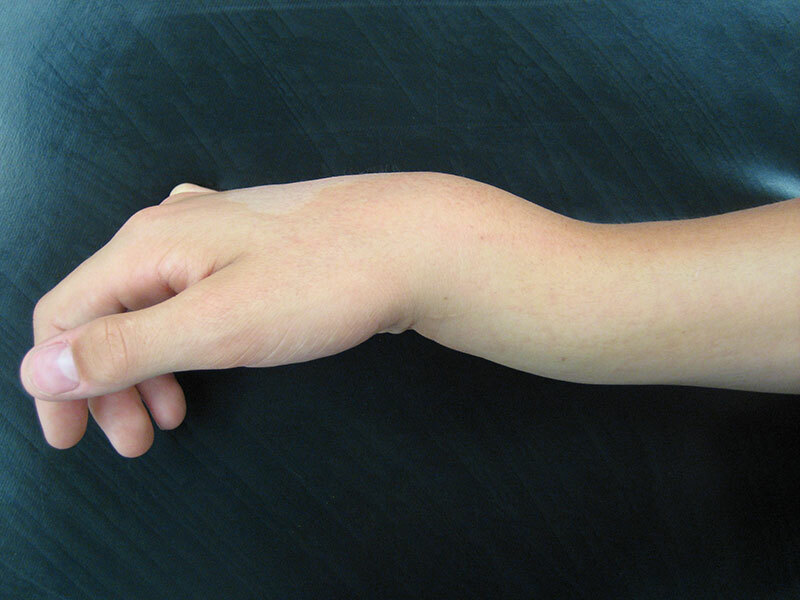 Wrist fractures are very common injuries. 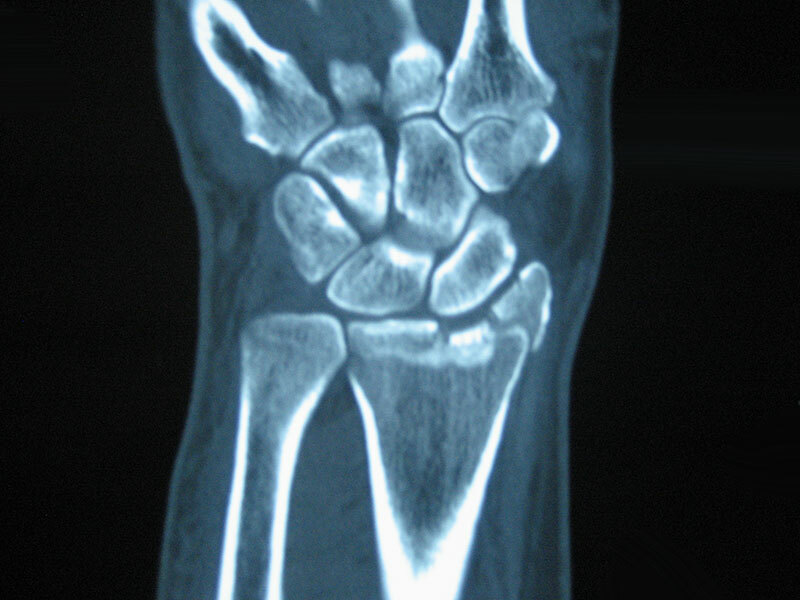 This usually refers to a fracture of the radius, the larger of the two forearm bones just before the wrist joint. They tend to occur in two age groups. In the young adult they are often high-energy injuries (e.g. motor vehicle accidents, sports) and in the older age group, lower energy (e.g. simple fall). A fall onto an outstretched hand is a common story. The joint may or may not be involved in the fracture. They are often referred to as Colles fractures. There are many different ways of treating these injuries depending on the significance of the injury and the demands of the patient. 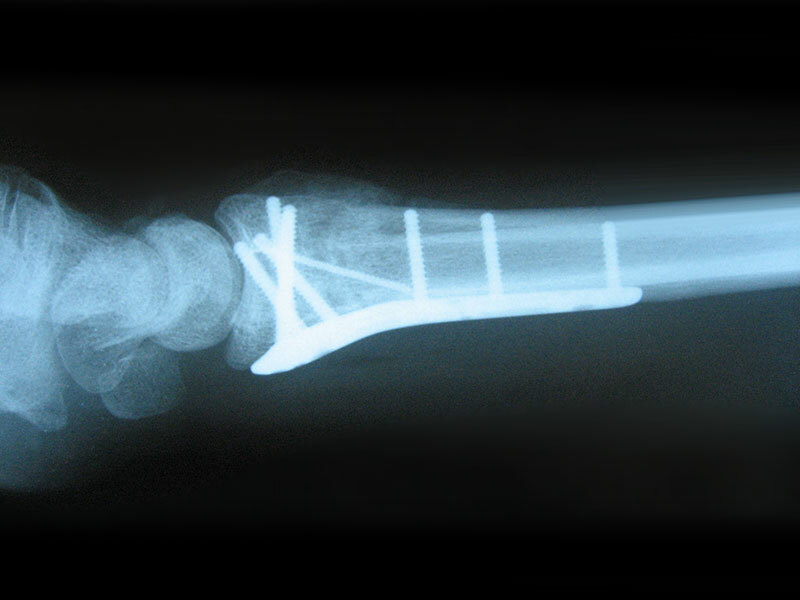 These treatments range from simple cast immobilisation to operative stabilisation. The decision on which method of treatment is often made on regular x-rays but in some cases a CT scan may be obtained to get better 3-dimensional information, especially when the joint is involved. The aim of treatment is to reduce disability and restore motion and strength. Even with the best treatment some people don’t regain full function. 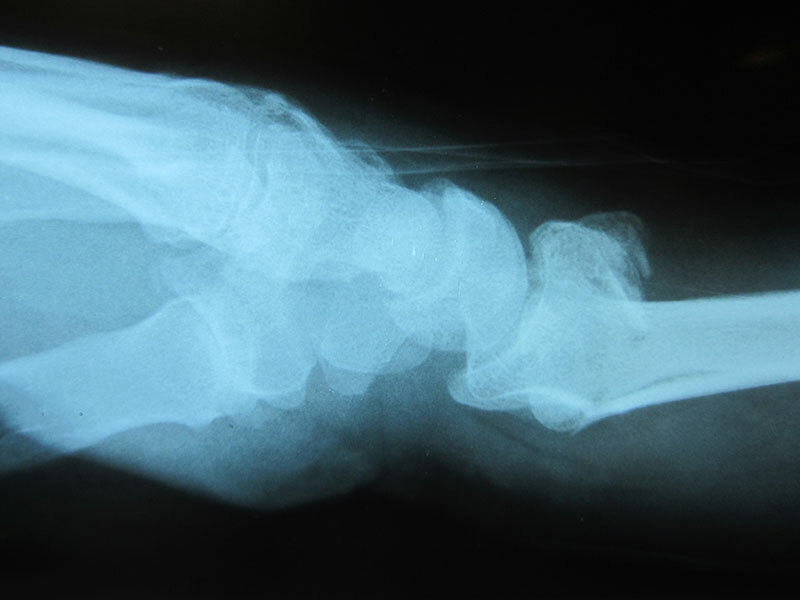 Fractures treated non-operatively usually require 6 weeks in a cast and x-rays at various time periods to gauge healing depending on the initial displacement. 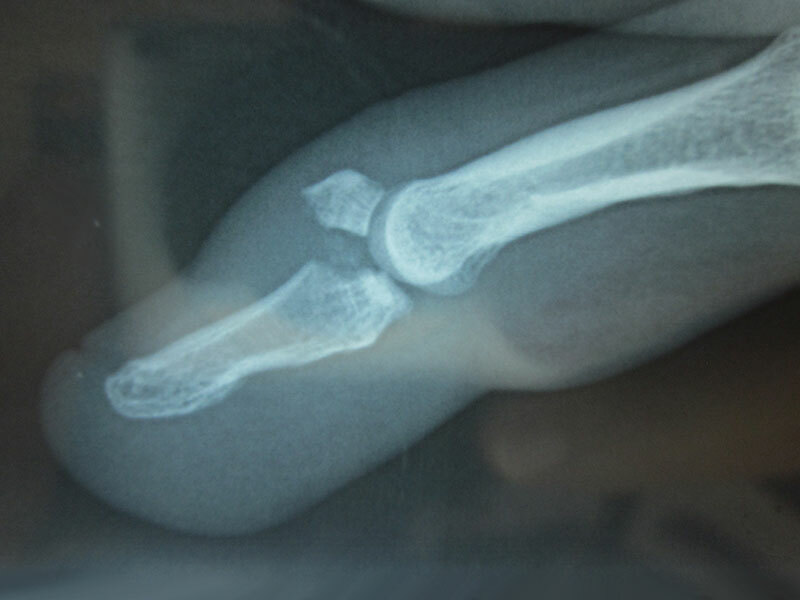 Fractures that need a reduction (pushing the bone back into place) need x-rays at 1 week and 2 weeks after the reduction to make sure it does not move and then again at the end of cast treatment to check healing. More significant fractures may need operative stabilisation. This is most commonly with a plate and screws, which are applied to the bone once it has been put back in position. These are not routinely removed. After 2 weeks the dressing is removed and the patient is placed in a removable brace. It is very uncommon for these fractures not to heal but the overall recovery of strength and motion can take up to 6 months. Patients are often referred to hand therapy for range of motion and exercises.